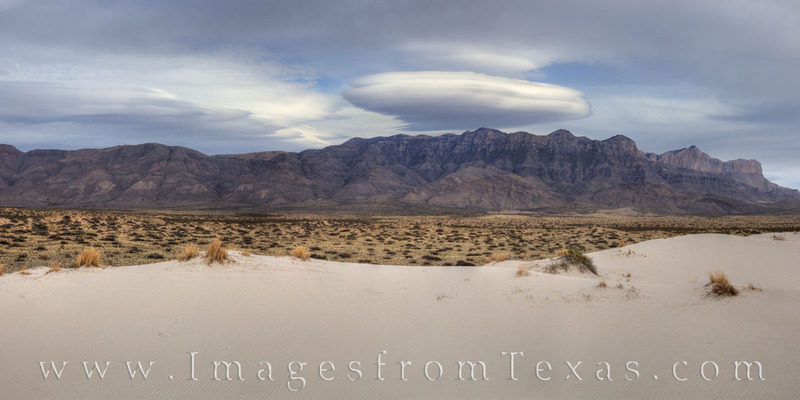 This lenticular cloud formed over the Guadalupe Mountains as I was driving towards the Salt Basin Dunes on the southwest side of the national park. Amazingly, it lingered for hours. This panorama shows the width and beauty Guadalupe Mountains National Park from the edge of the dunes facing east on a late spring afternoon. Photo © copyright by Rob Greebon.